Genuine Fiat 500X - Off Road Looks Beige Side Finishing. Give your New Fiat 500X additional style and make it stand out from the rest with these Side Mouldings in Beige. Not for Cross and Cross Plus versions. 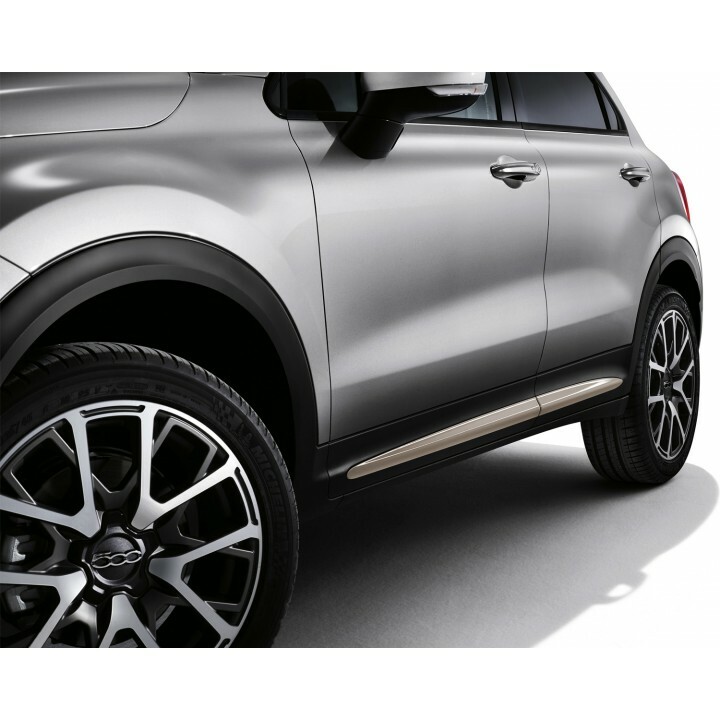 Why Buy Genuine Fiat 500X Side Mouldings? Will these Side Mouldings fit my Fiat? These Side Mouldings are suitable for Fiat 500X 2015 Onwards.